There are few things that can revamp and revitalize your look like a fresh short haircut. Why feel stuck in your signature style when stylish short cuts come a dime a dozen? If you’re looking for a brand-new ‘do, these short hairstyles will give a breath of fresh air that can take years off the face. So let’s turn back the clock. 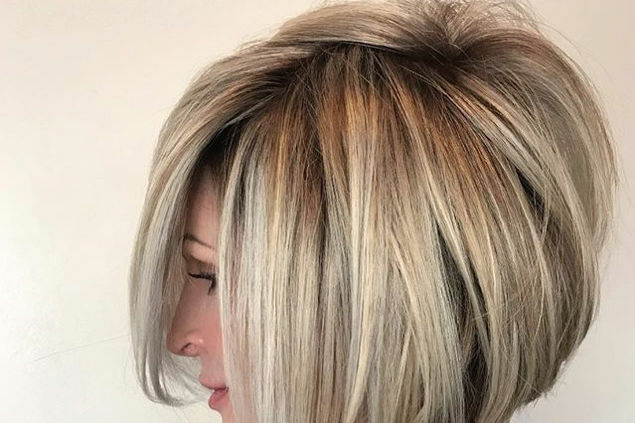 From curly pixies to asymmetrical bobs to textured shoulder-lengths, these easy and elegant short haircuts for women over 50 have us itching to make a salon appointment ASAP. When in doubt, a long bob will see you through. Ultra-flattering and versatile, this shoulder-grazing cut by stylist Nikki Lee gets a kick from layering and side-swept bangs. Classic, but not? Give an asymmetrical twist to a traditional bob, and you’re set with a statement-making short cut. If you’re about as layered as an onion, go blunt for a change. It makes your ends look incredibly thick and healthy. If you’re afraid to go whole-hog, some bangs, like these beauties by stylist Anh Co Tran, will keep it in your comfort zone. Even curly girls love to make the chop. Let those ringlets run wild, but in the most low maintenance way: a super cropped pixie, courtesy stylist Alessandra Saman. We could slice an apple with those razor-sharp angles. The modern silhouette by stylist Carolynn Judd frames the face in a youthful way and gives major volume potential in the back with layering. Temples, cheekbones, jawline—boom. Framing your face is the key to a more youthful-looking complexion and takes attention away from any complexion concerns. This cut by Texas-based stylist Chris Jones looks like it knows how to have some fun. A shoulder-length haircut is always a flattering choice, and dry texture spray will give volume and vivacity that can take years off the face. It’s a little bit retro, a whole lot sassy. Frame the jawline something serious with rounded ends on a classic, oh-so-lightly layered bob length cut. She’s beauty, and she’s grace. If you have naturally straight strands, you can rock a refined silhouette like this without question. With a trendy asymmetrical cut by stylist Sal Salcedo and fiery red color, this mane is anything but boring. As we age, we often get stuck on a “signature cut,” but that doesn’t mean you can’t find a new one. It might be more of a transition length, but we can see that stylish fringe just begging to be paired with a chin-grazing bob, can’t you? Like we said, we're all for a little fringe. Here it's done right. It’s straight, sassy, and definitely stylish. A razor-sharp angled bob says that you just don’t have time for getting older. Give that fine hair some life, sister. This feathery bob isn’t going to go flatter-than-a-board, like some cuts can. Some texture spray will help in that department, too. If this bob could talk, it’d say something sharp and witty. Razored layers, stacked silhouette, and short chin-grazing length—it’s got it all. Want low maintenance styling? Let the color do the talking. 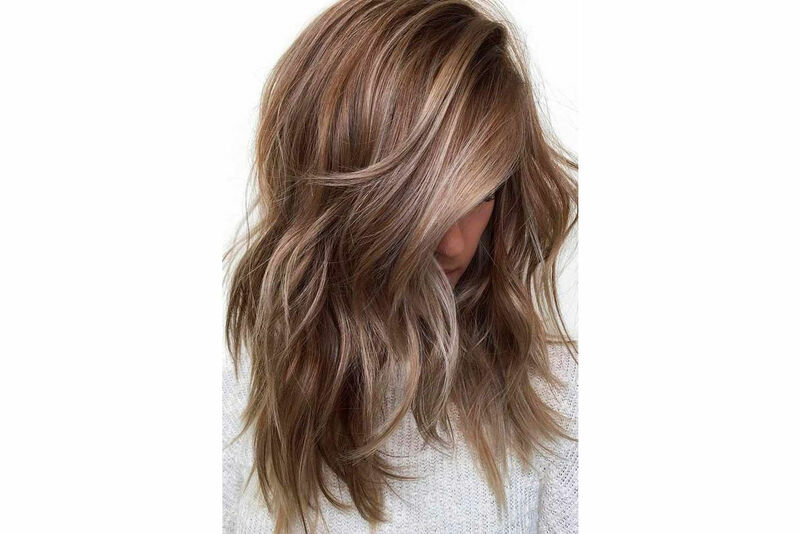 This Icelandic blonde covers any silver strands that pop up unannounced, giving you more time between salon appointments.